Want to write me a testimonial? Please email me at ajaffe@gofirsthome.com. Or post on Yelp!, Linked In, Facebook and/or Zillow. As a first time homeowner I needed a lot of handholding throughout the mortgage process. Alex Jaffe and his team at FHMC were a joy to work with. I was working with a couple other places before I settled on FHMC, and I don’t regret it at all. The thing that set Alex Jaffe apart was 1. Customer Service; 2. Quick review and; 3. Professionalism. 1. Customer Service – Alex answered all of my questions either by phone or email within a few hours. I never felt like I was being given the run around or that I had to track someone down to get a question answered. He was able to keep me calm if I had jitters and I never felt that any question I asked was stupid. 2. 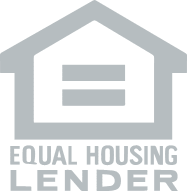 Quick review – I was able to get a prequalification within an hour, and my mortgage was approved in less than a month from the date that my offer was accepted. This was in part due to my having all my documents ready at a moment’s notice and also because of the great communication between Alex and the underwriters at FHMC. 3. Professionalism – Alex was a consummate professional during the entire process. He knew when it was appropriate to talk about something over the phone rather than email. He was straight with me about what I could and could not afford. He patiently went over details with me and helped me weigh the pros and cons of certain decisions, such as my choice in homeowner’s insurance and title insurance. As I stated earlier he always responded quickly to my phone calls or emails even if they were sent outside of normal business hours. After settlement he followed up with me to make sure I was off to a great start as a new homeowner. He also sent me a CD containing electronic versions of all the documents relating to my mortgage and settlement. After hearing so many mortgage horror stories I feel very fortunate to have worked with Alex Jaffe and his team who made it all go so smoothly. When I first began working with Alex, I was pre-approved through another lender and had a loan officer that took 2-3 days to return a phone call. In the competitive DC housing market, I needed someone who I could get in touch with instantly – I found that with Alex. His responsiveness, knowledge, and patience in dealing with a first-time homebuyer made me extremely confident that I had found the right lender. Thanks Alex! Alex was very helpful when helping us to decide the best time for us to buy our first home. His experience and responsiveness were instrumental in a smooth and painless mortgage process. Alex came highly regarded from our realtor, and we would recommend him to all of our friends in the area. Alex helped me secure an HOC loan on my first home in the fall of 2012. It was a daunting and complicated process, but Alex was extremely helpful and knowledgeable, excelling in areas where other brokers I had tried before him had failed. He’s very responsive, honest, helpful, and patient and I highly recommend Alex for anyone who is looking for any type of home loan, whether it’s a first home, second/third home, or refinancing. Alex was great. I was refinancing a duplex which has been difficult for other mortgage companies in the past but it was no problem for First Home Mortgage. Alex walked me through, step by step and made it easy. I really felt like all the bases were covered and there were no surprises. Great communication and customer service. I highly recommend Alex Jaffe and First Home Mortgage. Alex Jaffe and First Home Mortgage are awesome! Everything with my first home loan went very smooth. He always responded to any question I had quickly, even years later when I called him to ask about refinancing. I worked with Alex when I purchased my first home. I did not use a realtor, and Alex went beyond the call of duty. He showed up at the closing and helped me walk through the process step-by-step. He was patient with questions and provided easy-to-understand answers quickly. I would work with Alex again any day. Alex was a great help; Provided excellent support throughout the whole house buying process, and was keenly aware of rates, best mortgage terms for me and was readily available. An excellent loan officer, and highly recommended! As a first-time home buyer, I was really hesitant and unsure of the best way to proceed financially. Alex Jaffe was super helpful – I couldn’t have asked for someone better. He was very available and thoroughly answered all of my questions. I would definitely use him again in the future! I was referred to Alex Jaffe by my realtor and it was certainly the best decision I made for my loan officer. Alex is reliable, prompt to respond, knowledgeable, friendly, and made the process is an absolute breeze for me. Even on the day of closing he was available immediately to expedite the correction of a minor issue. I would definitely suggest Alex Jaffe as a loan officer. His professionalism, attention to detail, and his passion for working with others are definitely the skills you desire in a loan officer/mortgage broker when purchasing a home. I would definitely work again with, Alex Jaffe. I wish that I could find the right words to describe the service received from Mr. Jaffe. A true testament for me, is telling anyone/everyone who will listen that Mr. Jaffe and the relator used in personal purchase is a “Great Team” to have working on your behalf. They pulled out all stops . Their knowledge, expertise and availability made the homebuying process so much easier. Kudos! Mr. Jaffe and Continued Success. I would never recommend anyone but Alex Jaffe after the work he did on the loan for my very first home. He did a tremendous job, was always there to answer any questions I’ve had before or after the purchase was completed, and saved me money compared to other rates I received. I’ve referred Alex to several friends and all I get back are rave reviews on how great a loan officer and person that he is. I was referred to Alex by my realtor on the first home I bought. I can’t believe how many questions I had for him and how patient he was in answering them. It was just amazing. From the first contact to finishing the final details, I could not have asked for a smoother or simpler process. I highly recommend Alex to anyone buying a home. Alex was a pleasure to work with. As a first time homebuyer, he was very patient and thorough in explaining all the terms and paperwork. I would be happy to work with Alex in the future and strongly recommend him! Being a first time home buyer, I first scouted out my real estate agent and assumed the loan officer was a behind the scenes guy who you never really came in touch with; I could not have been any more wrong. From preparing various good faith estimates to meeting a variety of different loan payment options to providing keen insight on strategies for deferring costs by investigating different loan packages, Alex’s knowledge of the mortgage industry is second to none. He has counseled me judiciously through the process and was constantly available to field my multitude of questions. Thanks so much for all the help Alex! Alex Jaffe helped me lock-in a competitive interest rate form my home mortgage and went on to work with my condo association to qualify the building for a VA Loan. Alex was always available, worked quickly and effectively with my real-estate agent and the seller’s agent, and was instrumental in ensuring a seamless and successful home-buying experience. Alex Jaffe and First Home Mortgage made my home purchase a trouble free, informative and enjoyable process. Alex was always available and tracked every movement of the loan from beginning to end. He even attended my closing to ensure everything went smoothly. I have heard a lot of horror stories of late closings or failed purchases caused by lenders who were either inexperienced or not paying attention or both. With Alex I felt like my home loan and purchase were the most important loan he was doing, which was wonderful. Highly recommended !! I used Alex Jaffe for my first home purchase and he made the entire process very easy for me. He’s patient and willing to explain each step in detail, and is always there to answer questions as they arise. A couple years later, Alex proactively contacted me and worked up a refinance comparison. He was able to save me considerable amount more than my bank. Alex is trustworthy and a great asset to have on your side as you go through a purchase or refinance. I will not hesitate to use him again in the future. I was referred to Alex by a friend. We dealt mostly over the phone and email and his communication was clear, simple and effective. He was very responsive, helped us to get a great rate on our first home and there were no hiccups in the process. We weren’t quite as lucky with our realtor, so it was refreshing that someone on our team really had their @#$! together! Alex Jaffe and 1st Home Mortgage are awesome! Everything with my first home loan went very smooth. He always responded to any question I had quickly, even years later when I called him to ask about refinancing. Alex was referred to me as an “A+” mortgage broker by my realtor and I was incredibly impressed not only by his service, but by his counsel on helping me get over some hurdles and craft a much better deal than anyone else I “interviewed” even put on the table. He is truly an expert, and very creative at finding solutions to challenges–and treats your money as he would treat his own–i.e. precious! I’m so happy with my refinanced mortgage package–I’m saving money, I got a great rate and was able to get it done quickly. After refinancing my mortgage several times over the years, Alex Jaffe was the most honest and straightforward loan officer I’ve worked with. I felt thoroughly comfortable in trusting the information he provided, and he was always available — returning calls and emails right away — and patient and pleasant with questions. I wouldn’t hesitate to recommend him. Working with Alex was great! He was recommended to us by our realtor and a friend, and we couldn’t have been happier. He was very quick to respond and answer all of our questions. The whole process through closing was very smooth. We couldn’t have been happier and look forward to working with him again in the future. Alex Jaffe and the team at First Home Mortgage were phenomenal! They made the process of our home purchase in DC as simple as could be and got us a great rate. The communication and response time were both excellent, and I was never concerned about missing the closing date. If you’re purchasing a place in DC, I can’t recommend Alex and First Home enough. I was referred to Alex Jaffe at First Home Mortgage by my realtor. He was very helpful, patient, and easy to communicate with. I was a first time buyer and there were some snags with the appraisal. Alex was great at keeping me informed and helping me understand the process. We has extremely responsive! I couldn’t have asked for anything more. I was referred to Alex by my realtor. I worked with him for over 2 years to get to a point where I could qualify for a mortgage and he was very helpful every step of the way. I actually met him in person at a First Time Homebuyer’s seminar and he answered some critical questions that let me to begin the process starting from prequalification to closing. There was a lot of information transferred over the course of the process and he was knowledgeable and helpful throughout. Had it not been for Alex’s swift, accurate and thorough movement through the home buying process, I would not have been able to qualify for the house I am in now due to the recent changes in interest rates. I found Alex Jaffe through a neighborhood listserv recommendation and have been very happy to work with him throughout our refinance. He was quick, responsive, clear, and very helpful. Everything went very smoothly — I’d highly recommend him to anyone. Our Realtor set us up with Alex and, I’m very happy he did. Alex made the process very easy and pleasant. Alex is very quick to respond to calls or emails and is very patient with the process while still being proactive. We had a complicated refinance because of errors made by our previous closing agent. Alex guided our closing through every step of the way. Curve balls which would make most people pull their hair out didn’t even bother Alex. Not only was he the exemplary professional, he was patient, calming and went way above and beyond. I recommend him to anyone that is looking to finance or refinance. A five-star gem. Alex was professional, courteous, and patient with all my questions. I would recommend him to family and friends. When I first began working with Alex Jaffe at First Home Mortgage, I was pre-approved through another lender and had a loan officer that took 2-3 days to return a phone call. In the competitive DC housing market, I needed someone who I could get in touch with instantly – I found that with Alex. His responsiveness, knowledge, and patience in dealing with a first-time homebuyer made me extremely confident that I had found the right lender. Thanks Alex! Alex Jaffe is the best, he can work those extra hours anytime and make sure we get everything for the approval. He made us (my husband and I) save money and we will always be grateful to Alex. Alex Jaffe and 1st Home Mortgage made refinancing a positive experience for me. This was my second refi, and first time working with 1st Home Mortgage. Alex treated me like his only client. I am self-employed which presents its own challenges when refinancing. He was extremely responsive and patient regarding my questions. His calm manor put me at ease. I am now enjoying a great fixed rate! Thank you Alex!